It’s funny the curveballs that life throws you. 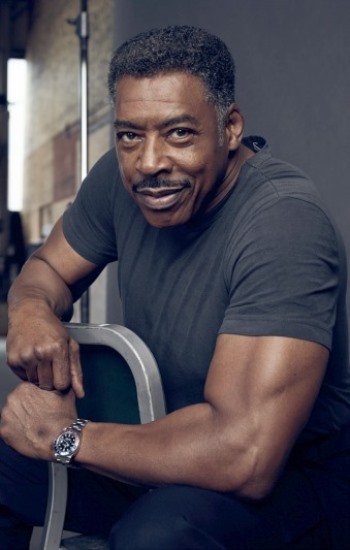 Take Ernie Hudson. After a good 40 years hustling, hitting the casting offices and sets and craft services tables of hundreds of movies and TV series, making a name for himself as a go-to guy in Hollywood, was finally hitting a point where he was thinking maybe it was time to slow down a bit. That didn’t last very long. 2017 was one of his busiest years in an always busy career. In the past year alone, he has worked on five movies (including the upcoming Nappily Ever After and The Family Business). 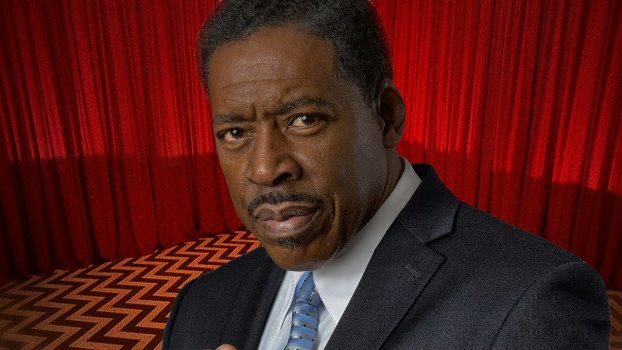 He also had recurring or starring roles on several series, his third and fourth seasons with Netflix’s hit sitcom Grace & Frankie, FOX’s police drama APB, the Nick Nolte political satire Graves and even had a small role on David Lynch’s reboot Twin Peaks: The Return. So much for thoughts of taking it easy. Hudson, who looks decades younger than his 72 years, had even hit a point where he was only living in Hollywood part of the year. He also has a place in Minneapolis. So how crazy is it that just when he was getting ready to gear down, the casting people started to ring his phone off the hook? And, it seems, he is not completely ready to stop working. He enjoys it too much. Now is just a time where he gets the opportunity to be a little pickier. It’s an interesting place to be, having these choices. Realizing the world will not end if he holds out on a role that doesn’t interest him. In fact, it has always slightly amused Hudson when people congratulated him for his good taste in projects – over a career that has included such classic films as Ghostbusters, The Crow and The Hand That Rocks the Cradle. Hudson admits is wasn’t totally his taste that made his career. Sometimes it’s a matter of luck, skill, and just being the right fit. So how have things changed since he has let go? One of those fun projects really came out of the blue for Hudson. 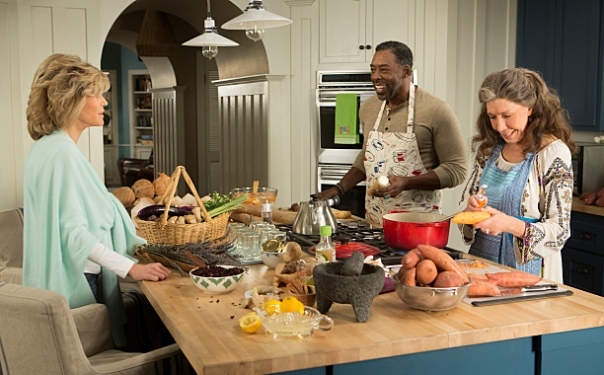 He recently finished his fourth season on the star-studded Netflix sitcom Grace & Frankie, co-starring with Lily Tomlin, Jane Fonda, Martin Sheen and Sam Waterston. The fourth season will be available to stream on January 19. 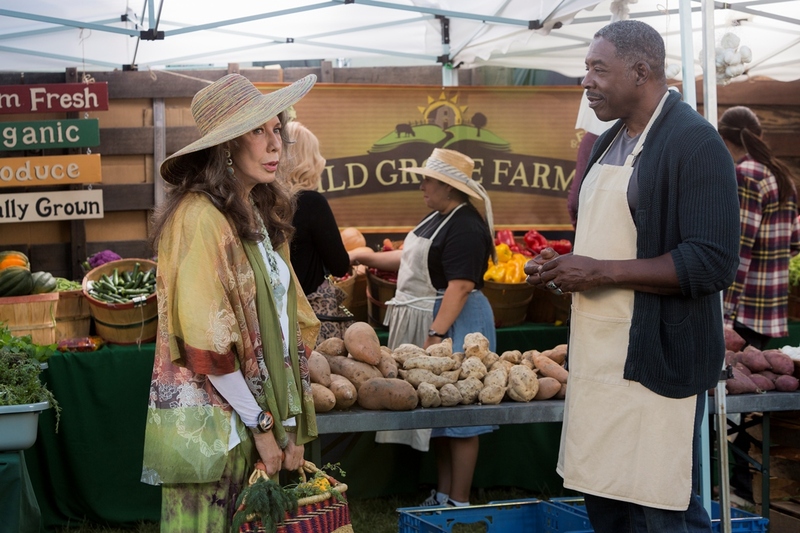 In fact, Hudson was recently nominated for an NAACP Image Award for his role as Jacob the Yam Man, a farm owner who falls in love with Lily Tomlin’s Frankie. “I got a lot of congratulations from people who I didn’t even think would be aware of the Image Awards,” Hudson admitted. Still, when Hudson first heard of the series’ creation a few years ago, he never imagined this would be a project which he would get a chance to work on, though he did know a few members of the cast slightly. “I had met Jane some time ago,” Hudson said. “I didn’t know Lily. Sam, I had worked with on Law & Order. Martin, I had almost done a film with, and it kind of fell apart, but I got to know him a little bit. Hudson was flattered that they would consider him in such a well-known cast. 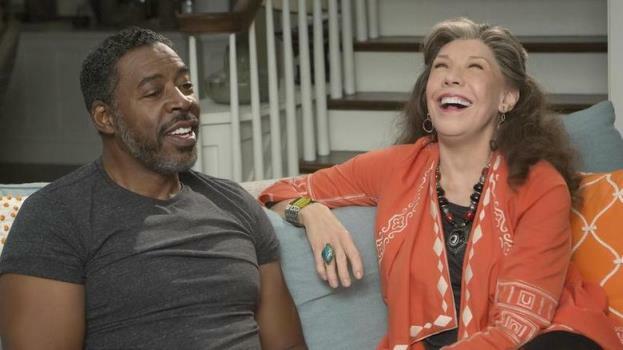 Another perk in Grace & Frankie was the fact that the role was being written with him in mind to play it. Still, he wasn’t sure what they were going to do with his character, but with this kind of talent attached, he decided to trust the showrunners. Soon after he joined up, he knew he had made the right choice. In fact, even as a long-time actor, Hudson finds Tomlin’s acting technique intriguing and refreshing. He said that when he is on set, he tends to go in observing. Checking out everyone’s techniques, the things that are happening around him. Particularly in this company of smart old pros, Tomlin’s style stands out – perhaps because Tomlin comes out of the world of stand-up and sketch comedy, rather than starting off as a straight actress. He feels that when they are working together they are engaged, though he tries to give her space and respect her privacy when not doing scenes. 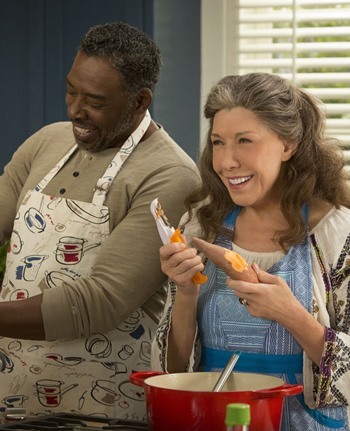 Grace & Frankie is rather unique in a very youth-obsessed Hollywood, because it is a show that is focused on people of a certain age. Hudson finds that to be an intriguing part of the project, as well, though he acknowledges he is not totally surprised that Hollywood doesn’t make more shows for the older demographic. Yet, while Hudson understood where that is feeling was coming from, he didn’t necessarily agree. In fact, he felt that often Hollywood was selling the fringe demographics short. However, Hudson has noticed over the years that despites fits and starts, like the old Sam Cooke song said, “a change is gonna come.” And more and more people are supportive and open to diversity. Hudson hopes this feeling of tolerance will soon be mirrored in film and TV, a state that has started, but still has a while to go. 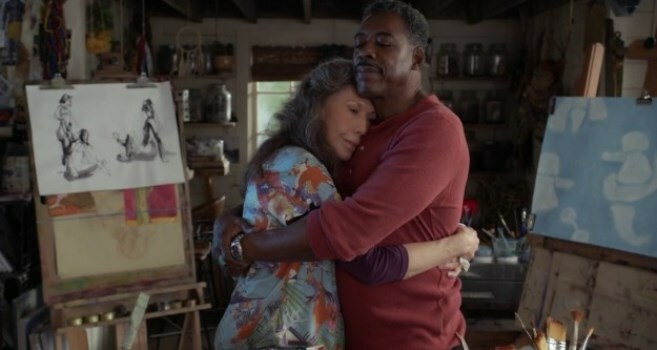 One nice show of progress in Grace & Frankie itself is the fact that Frankie and Jacob are an interracial couple is an issue at all in the show. Hudson admitted when he was approached for the show, he wasn’t sure that people would be so open-minded. He also had to get himself into the mindset of doing a show for older people. “When I looked at the show, I was thinking this is a show for senior citizens,” Hudson explained. Despite having missed middle age, at 72, Hudson realizes that he has lived a full life. At the same time, he is still a very vital, very sharp, very in-shape man. There is still a lot of road ahead of him. He’s not ready to just give up. Another great part of the character is the fact that, more than just about anyone else on the show, he is comfortable with himself and his life, knows what he wants and does not really question his life decisions. In a world full of neurotics, Jacob is something of a rock. Hudson gets that, but he also thinks he is not all that abnormal. Still, when Hudson first joined the show, he was protective towards the role. The more that Hudson got to know Jacob, the more he came to relate to him. “I’d like to think that’s who I am,” Hudson continued. “It’s very close. Maybe this character is as close to me as any [I’ve played]. I don’t feel I have to put on something. I do in a lot of the police roles I’ve done. It’s very hard as an actor sometimes to get in the skin of a character. [Often] they can’t explain it in the script and they just want you to play it because you are African American, like there is one unanimous experience that we all share. That’s not the real world. It’s not my world. So, that part I love about the guy. If nothing else, Hudson has learned some of the basics of farming life – like if there is a difference between yams and sweet potatoes. He may have never played a farmer before, but Hudson has often played a police officer, as he mentioned above. Beyond his hard work on Grace & Frankie, he also spent much of the year on FOX’s edgy police drama APB, which was a bit of a twist on the traditional cop show. In the series, a billionaire (played by Justin Kirk) bought and basically privatized a Chicago police district in order to test cutting-edge techniques. The show lasted a (12-episode) season, but ended up not getting picked up for renewal by the network. Speaking of timely shows, Hudson also appeared on the first season of the dark political comedy Graves with Nick Nolte and Sela Ward – about a former President trying to undo the mistakes he made while in office. Hudson had a recurring role on the show (also named Jacob!) but ended up a little disappointed that his character was not used more than he was, therefore he decided not to come back for the second season. And part of his personal epiphany in recent years, as said before, was that he needed to be intrigued and inspired by his roles. He is in it for the characters. However, there are exceptions to every rule. Another high-profile role which Hudson recently took was not huge, but he could not turn down the opportunity to be a part of David Lynch’s peculiar universe with Twin Peaks: The Return. He is now also a part of is the hit CBS series Blue Bloods. On the series he was able to work again with Donnie Wahlberg, one of the main stars of Blue Bloods. Also great was the chance to play a new type of role, a character far different from what he is used to playing. However, his co-stars were only part of the sell-job for the part. Once again, the role allowed him to push the envelope on his talents. With a long career that has spanned from wild comedy to dark drama, Hudson has become comfortable with all tones and tales. 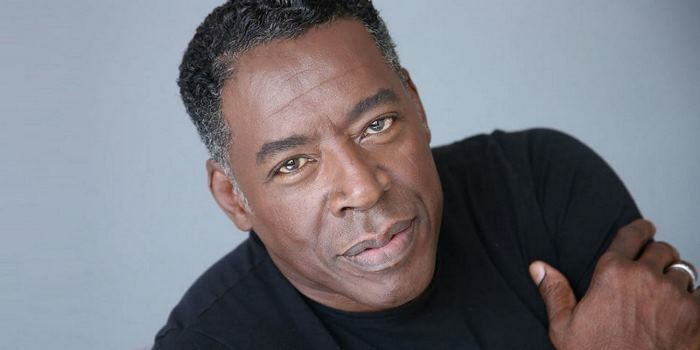 Well, one thing is forever in Ernie Hudson’s career – Winston Zeddemore, his character in the legendary comedy Ghostbusters with Bill Murray, Dan Aykroyd, Harold Ramis, Sigourney Weaver and Rick Moranis. More than any other project he has done, it has an afterlife that stretches well into the future. Showing the long-term pop culture omnipresence of the 1984 comedy, on a recent episode of Netflix’s popular sci-fi series Stranger Things which took place on Halloween in the 1980s, four childhood friends had a group costume as the Ghostbusters, and get into a big fight about who has to be Winston. Hudson laughed when the scene is mentioned, as he was familiar with it. And all these years later, he is still amazed by the pop culture reach of the movie. With as long a career as Hudson has had, he knows that projects like this are exceedingly rare. “I’ve done a lot of TV shows,” Hudson said. “I’ve done a lot of movies. After they have their little initial run, you barely hear about them. Some things come back, like The Crow. I’ll hear about The Crow. Or The Hand That Rocks the Cradle. There is something about Ghostbusters that is so amazing, I can’t even describe it. Hudson was even able to return to the world of Ghostbusters in 2016’s reboot of the film, in which Hudson – and most of the original cast – had cameos in the film. While the new movie did not become a sensation like the original was – and Hudson somewhat understands why – it was still a hoot to return to that world. Copyright ©2018 PopEntertainment.com. All rights reserved. Posted: January 18, 2018. Photos 1-3 ©2016 & 2017. Courtesy of Integrated PR. All rights reserved. Photos 4-8 ©2016 & 2017. Courtesy of Netflix. All rights reserved. Photo 9 ©2017. Courtesy of Showtime. All rights reserved. 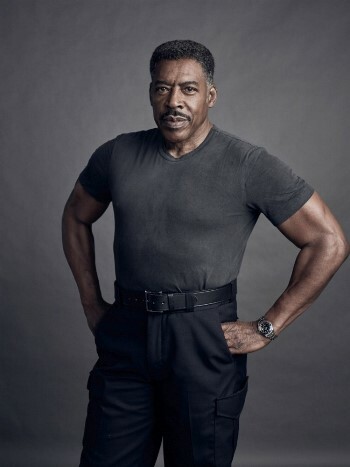 Tags: APB, Blue Bloods, butter, Carl Weber, David Lynch, Donnie Wahlberg, Ernie Hudson, farmer, ghostbusters, Grace & Frankie, Graves, Jane Fonda, jay s jacobs, Justin Kirk, law & order, Lethal Weapon, Lily Tomlin, Lynn Whitfield, Marta Kaufman, Martin Sheen, Minnesota, NAACP Image Awards, Nappily Ever After, Never 2 Big, nick nolte, Roman J. Israel Esq., Sam Waterston, Sanaa Lathan, Sela Ward, Stranger Things, sweet potatoes, The Crow, The Family Business, The Hand that Rocks the Cradle, The Return, Twin Peaks, yams. Bookmark the permalink.